Invitation: Concert "Brikcius in Řetězová VIII." You are invited to the concert "Brikcius in Řetězová VIII." of the Czech cellist Anna Brikciusová held on Saturday 18th February 2012, 7pm, at the Gallery Art Space Řetízek ("The House of the Three Wild Men", Řetězová 7, Praha 1, downstairs). 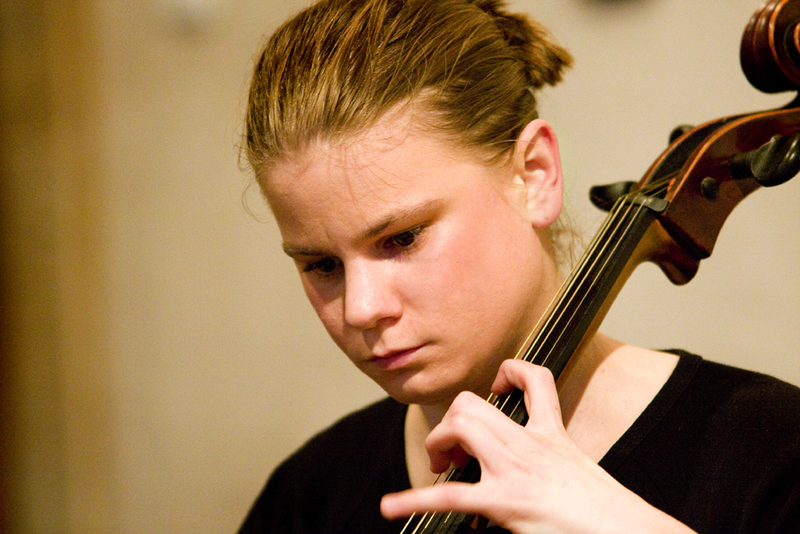 Cellist Anna Brikciusová will play I. Suite G-dur for cello solo, BWV 1007, II. Suite d-moll for cello solo, BWV 1008 and IV. Suite Es-dur for cello solo, BWV 1010, by J. S. Bach (1685 - 1750). Next concert "Brikcius in Řetězová IX." 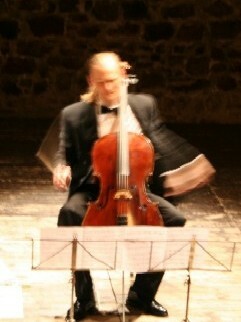 (František Brikcius - cello) will be held on Saturday 17th March 2012. Tickets (200 CZK) and reservations (603 865 126, 603 879 564) at the door. In the cooperation with concert gallery Art Space Řetězová 7. More details on websites http://www.Brikcius.com , http://www.FaceBook.com/Brikciusova and http://www.Twitter.com/Brikciusova . Saturday 18th February 2012, 7pm, Art Space Řetězová 7 ("The House of the Three Wild Men", Řetězová 7, Praha 1, downstairs, Czech Republic). Competition: Win 2 x 2 free concert tickets "Brikcius in Řetězová IX." "Festival Brikcius"
How many cello suites wrote German baroque composer Johann Sebastian Bach? Contest is over, lucky winners are J. K. from Praha and Z. P. from Liberec. The online cultural guide Informuji.cz is created by a collective of young people interested in culture, design and travelling who want to share their experiences and adventures. Informuji.cz works as an open space for various kinds of culture. We invite young authors, independent cultural organizers and creative students to cooperate with us and we give them the opportunity to present their ideas and projects. The site launched three years ago and we are still in development, growing step by step and attracting more and more new collaborators and visitors. Informuji.cz is designed for anyone who's looking for interesting information and clever cultural tips arranged with a fresh design. Cultural portal Informuji.cz is media partner of projects "eSACHERe", "Brikciusová Na Prádle - Mrak vrchní pluje rychleji" and "Festival Brikcius". German baroque composer and organist Johann Sebastian Bach was born on 21 March 1685 in Eisenach, into the musical family. He was the youngest child of Johann Ambrosius Bach (1645 - 1695), the director of the town musicians, and Maria Elisabeth Lämmerhirt (1644 - 1694). Since early childhood his father taught him to play violin and harpsichord. When his mother and father died, the 10 year old orphan was raised by his older brother, Johann Christoph Bach (1671 - 1721), the organist at St. Michael's Church in Ohrdruf. At the age of 14, Bach was awarded a choral scholarship to study at the prestigious St. Michael's School in Lüneburg. In January 1703, shortly after the graduation from St. Michael's Bach gained an appointment as a court musician in the chapel of Duke Johann Ernst (1662 - 1728) in Weimar. During his seven-month tenure at Weimar, his reputation as a keyboard player spread. In August 1703, he accepted the post of organist at St. Boniface's Church (later Neue Kirche, since 1935 Bachkirche) in Arnstadt. 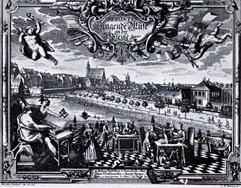 In 1705 he took three month vacation, travelled on foot 400 kilometres to Lübeck to visit organist and composer Dietrich Buxtehude (1637 - 1707). Without authorization from Arnstadt, he stayed with Buxtehude for three months. Bach wanted to become Buxtehude's assistant, but he did not wish to marry his daughter, which apparently was a condition for his appointment. So he returned back, again on foot. In 1707 he took up a post as organist at St. Blasius's in Mühlhausen. It included significantly higher remuneration and improved conditions, as well as a better choir. Four months after arriving at Mühlhausen, Bach married his second cousin, Maria Barbara Bach (1684 - 1720). Together they had seven children: Catharina Dorothea Bach (1708 - 1774), Wilhelm Friedemann Bach (1710 - 1784), twins Johann Christoph Bach and Maria Sophia (1713 - 1713), Carl Philipp Emanuel Bach (1714 - 1788), Johann Gottfried Bernhard Bach (1715 - 1739) and Leopold Augustus Bach (1718 - 1719). In 1708 Bach left Mühlhausen, returning to Weimar this time as organist and concertmaster at the court of the Duke Johann Ernst (1662 - 1728). Bach moved his family into an apartment just five minutes walk from the ducal palace. In the following year, their first child was born and they were joined by Maria Barbara's elder, unmarried sister Barbara Katharina Bach, who remained with them to assist in the running of the household until her death in 1729. Bach worked in Weimar till 1717, when he accepted post in Köthen without dukes authorization. He spent few weeks in prison and he was dismissed both from the prison and dukes services. In 1717 Leopold, Prince of Anhalt-Köthen (1694 - 1728) hired Bach to serve as his Kapellmeister. On 7 July 1720, while Bach was abroad with Prince Leopold, Bach's wife Maria Barbara, the mother of his first seven children, suddenly died. Most likely Bach composed during the period 1717 - 1723 in Köthen the Six Suites for Cello Solo. On 3 December 1721 the widower married Anna Magdalena Wilcke (1701 - 1760), a young soprano, who performed at the court in Köthen. Together they had 13 children: Christiana Sophia Henrietta Bach (1723 - 1726), Gottfried Heinrich Bach (1724 - 1763), Christian Gottlieb Bach (1725 - 1728), Elisabeth Juliane Friederica Bach (1726 - 1781), Ernestus Andreas Bach (1727 - 1727), Regina Johanna Bach (1728 - 1733), Christiana Benedicta Bach (1730 - 1730), Christiana Dorothea Bach (1731 - 1732), Johann Christoph Friedrich Bach (1732 - 1795), Johann August Abraham Bach (1733 - 1733), Johann Christian Bach (1735 - 1782), Johanna Carolina Bach (1737 - 1781) and Regina Susanna Bach (1742 - 1809). In 1723, Bach was appointed Cantor of the Thomas School at St. Thomas Church in Leipzig and Director of Music in various churches in Leipzig. 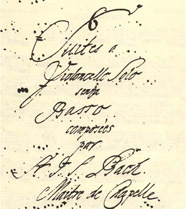 In 1747, Bach visited the King of Prussia Frederick II. (1712 - 1786). The Art of Fugue was written shortly before Bach's death and was finished but for the final fugue. Bach's health declined in 1749; Bach became increasingly blind, and the British eye surgeon John Taylor (1703 - 1772) operated on Bach while visiting Leipzig in 1750. Johann Sebastian Bach died on 28 July 1750. He was originally buried at Old St. John's Cemetery in Leipzig. His grave went unmarked for nearly 150 years. In 1894 his coffin was finally discovered and reburied in a vault within St. John's Church. This building was destroyed by Allied bombing during World War II, and in 1950 Bach's remains were taken to their present resting place at Leipzig's Church of St. Thomas. In Germany, many streets were named and statues were erected in honour of Bach during the twentieth century. Three pieces of Bach's work were, as part of the Voyager Golden Record, included on board the Voyager spacecraft. The Bach Crater on Mercury is named after him. In 1950 Wolfgang Schmieder (1901 - 1990) compiled thematically organised catalogue of Bach's work, called Bach Werke Verzeichnis (BWV). 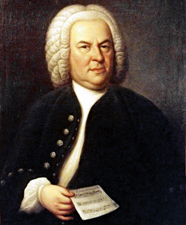 For more about Johann Sebastian Bach visit http://www.Brikcius.com and http://En.Wikipedia.org/Wiki/Johann_Sebastian_Bach .